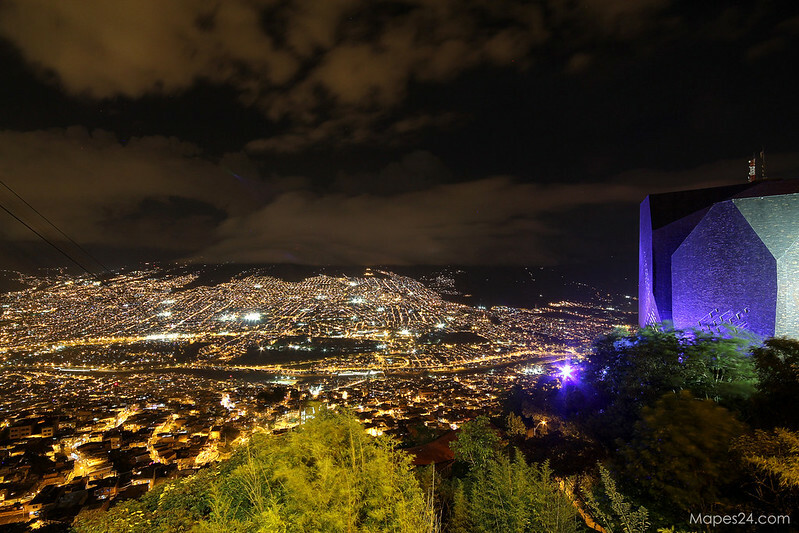 Even though it’s been years since Medellin renounced its title as ‘Most Violent City in the World’, my friends in the U.S. still seem surprised to hear that I would want to go there again for a vacation. What I love about photography is that photos allow me to relay the beauty of a place in a way that I would simply be unable to do solely with my words. 1. If you’ve already purchased a ride on the metro, once you arrive at Acevedo station, you are able to take a free cable car ride up the mountain. This provides a fun way to preview some of the amazing views of the city that you’ll be capturing from the top. 2. 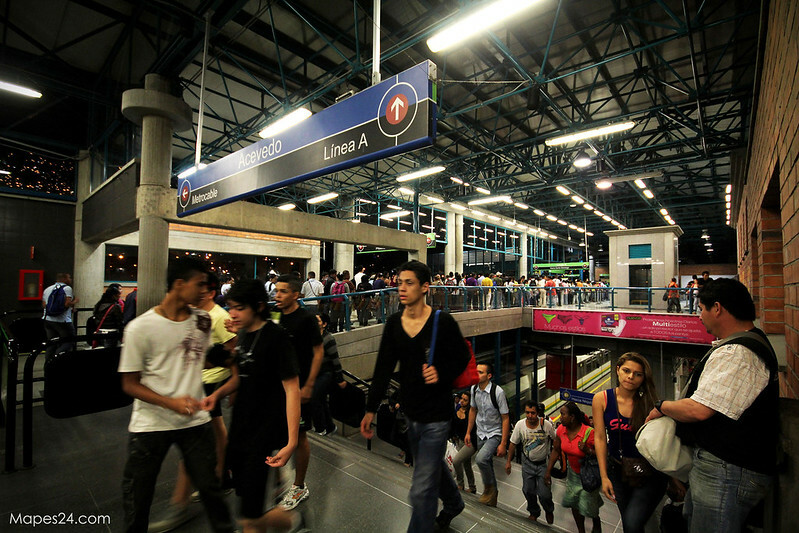 It gives you a quick glimpse into real life in Medellin, and allows you to capture what daily life is like for much of the city’s 2.1 million inhabitants. 3. There is a concrete bowl by the Parque Biblioteca España that seems to attract much of the local action sport aficionados. This provided a perfect opportunity to work on my sports photography. 4. 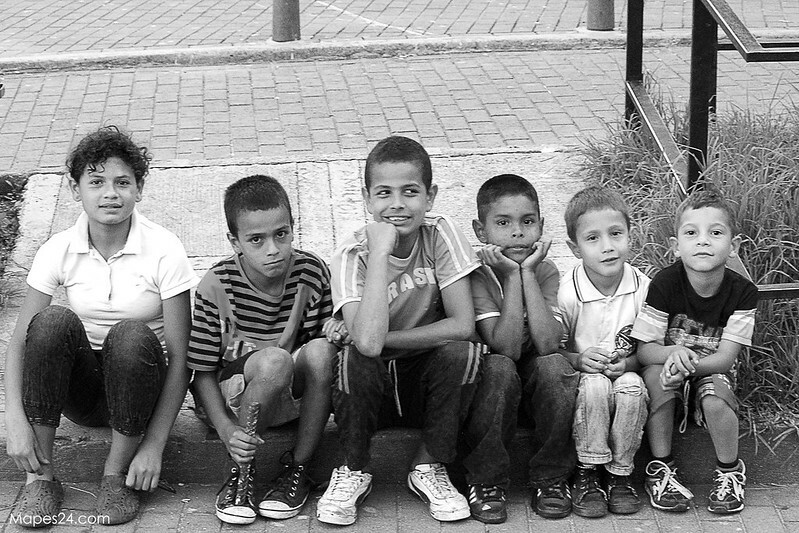 In my experience, the locals are extremely friendly and do not freak out when a camera is pointed in their direction. 5: One of the main reasons why Santo Domingo became one of my favorite spots to shoot, was that it has some insanely beautiful views of Medellin. On a clear day, the views are seriously awe-inspiring. *Just a quick note: As a general rule of thumb, it’s usually unwise to be flashing a camera that could be the equivalent of half a year’s salary when walking around in the barrios since theft/robbery is still a valid concern. As I was reminded by the security guard at the biblioteca, as long as you stay by the main streets, and walk along well lit areas with a lot of foot traffic, you and your camera should be relatively safe. 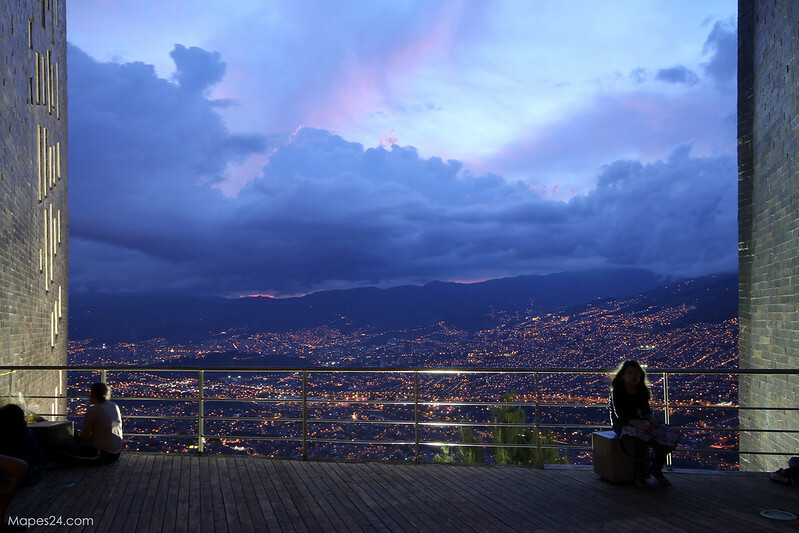 Also, if anyone has any recommendations on places within Medellin that provide great photo opportunities, please leave a note in the comment section below. Thanks! Next: Next post: How I Quenched my Foodie and Photo Cravings Along the Malecon in Panama City (Panama). Love this! Thanks a lot. 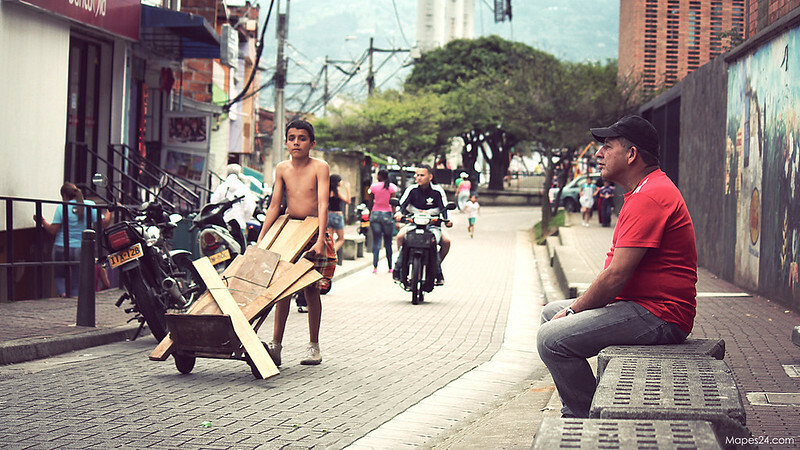 I want to get the most of my trip to Medellin, and capturing the movement (and stillness) of the city is a big part of that. Do you recommend any other places? For street photography, Plaza Botero is a pretty cool spot as there are a ton of people that walk through the area on any given day. But be careful, as it can get pretty sketchy just a block or two in each direction from the main plaza. If you stay in the main Plaza area you should be fine! Another cool spot for landscape/cityscape shots are at the escalators in Comuna 13. There’s some colorful homes, and a really awesome view of the city once you get to the top. Hope you have a great time! Thanks! 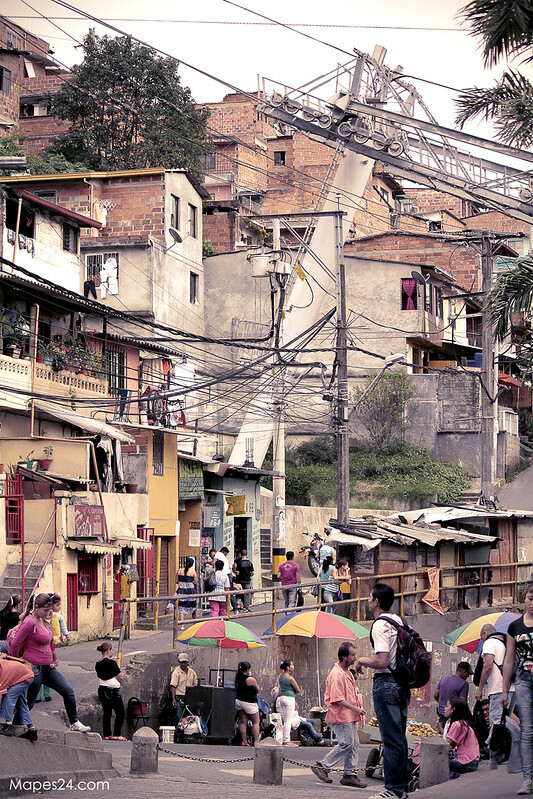 I just learned of Comuna 13 yesterday and I definitely want to visit. Do you think its worth it to do a tour? I am thinking of maybe doing a tour and coming back on my own – if time permits. If you want to tour the homes away from the escalators, it’s probably a good idea having a guide as Comuna 13 is still not really considered to be a safe area. But if you’re planning to just take photos in the immediate area around the escalators, a tour guide really isn’t necessary.